Waterproof, weatherproof boots with a hint of style. Let the classic look of The Original Muck Boot Company® Women’s Reign Waterproof rubber hunting boot keep you comfortable from sun up to sun down. 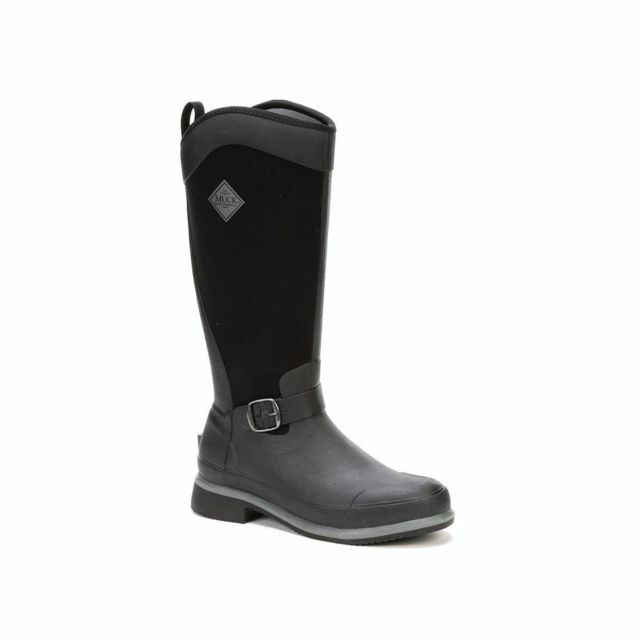 Built specifically for women, this waterproof boot offers luxurious comfort and protection, with XpressCool™ lining, pull on side-handles and a wide-cut heel base for stability. A rubber outsole with gripping horizontal tread makes the Reign boot safe for trekking on all terrains.